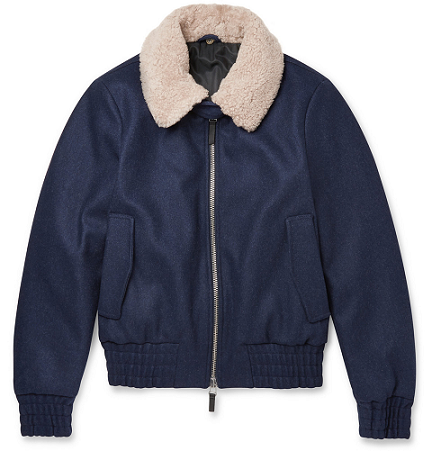 Give your outerwear collection a new-season boost with AMI's must-own shearling collar wool-blend bomber jacket. Team with a navy roll neck, trousers and Chelsea boots to create an outfit. Mr Porter, £600.